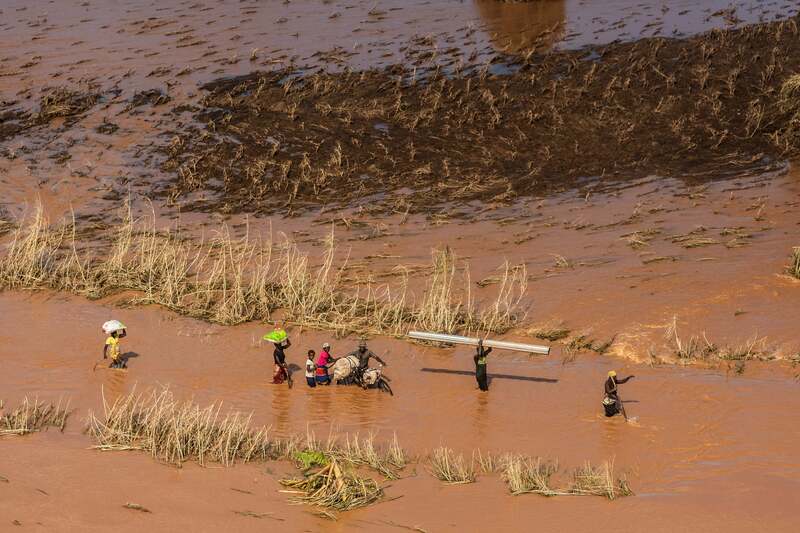 More than a week has passed since Cyclone Idai tore through the coast of southeastern Africa, dealing a devastating blow to the region. The cyclone has killed more than 750 among the three countries impacted, reports the Associated Press. And it’s left the major city of Beira in ruins. All this is only the beginning, however, as the affected countries of Mozambique, Zimbabwe, and Malawi brace for a public health crisis that has the potential to be widespread and long-lasting, with impacts ranging from infectious disease outbreaks to psychological trauma. The 900,000 children affected by the cyclone are particularly vulnerable. So are the 110,000 currently taking refuge in camps in Mozambique, which sound like magnets for disease and further trauma to experts. From a disease perspective, cholera and malaria are of primary concern because the floodwaters, which are finally dropping in Beira but continue to isolate rural areas, contribute to the growth of these diseases, which are endemic in the region. The International Federation of Red Cross and Red Crescent Societies (IFRC) has reported, but not confirmed, malaria infections, which are spread through infected mosquitoes that reproduce in stagnant waters (like floodwaters). The group has also reported, but not confirmed, cases of cholera, a waterborne bacterial illness that kills by dehydrating those who are ill, in Beira. The Mozambican government is reporting cases of “acute watery” diarrhoea, a symptom of cholera, according to the United Nations Office for the Coordination of Humanitarian Affairs (OCHA). Both infectious diseases can be deadly if left untreated—and they can spread quickly when hitting a dense population. Like these camps. The organisation has brought in its first sanitation Emergency Response Unit, a team supplied with special equipment that offers water purification services to up to 20,000 people every day, to Beira. Another unit is on its way to the region, with the ability to produce clean water for 15,000 people a day, Sweeny said. A field hospital arrived Monday in Beira and will be operational Tuesday. while a second field hospital is coming later in the week. Both can help doctors conduct emergency surgeries and provide medical services to at least 30,000 people. Medical services and clean drinking water are among the most immediate concerns. But the people impacted by this disaster will need mental health services, too. Psychological impacts—from general anxiety to post traumatic stress disorder—often result from disasters like this. For instance, Hurricane Maria, which devastated the island of Puerto Rico more than a year ago, left high rates of PTSD in its wake. Children are most at risk for psychological trauma, explained Redlener. “Children can be protected from the stress of a major event like what’s happening in Mozambique, but they need resilient, caring parents who are able to keep things under control to the extent possible and continue to reassure their children that things are going to be OK,” he said. Sadly, that’s not an option for the kids who lost their parents, which Redlener described as the “most significant and dangerous kind of stress” to “any child on the planet.” The international faith-based organisation ACT Alliance estimates that in the Mozambican province of Zambezia alone, some 683 “orphans and vulnerable children” have been affected by the disaster. More children have been separated from their families, so the Red Cross has set up an online portal to help connect distressed parents to their kids, as well as conducting radio announcements. More than 36,000 homes were completely destroyed in Mozambique during the catastrophic event—and those floodwaters often swept people away. In a press release, OCHA describes “traumatised” children who reportedly witnessed the loss of their parents or siblings. Disasters aren’t easy on anyone, and studies show that the psychological impacts can last years after. That may be especially true for Cyclone Idai, which already ranks among the three deadliest tropical cyclones ever to hit the Southern Hemisphere. A whole lot of trauma will come attached to that title—and it won’t go away on its own. Neither will climate change, which could make these awful events all the more common for the people least responsible for causing it.